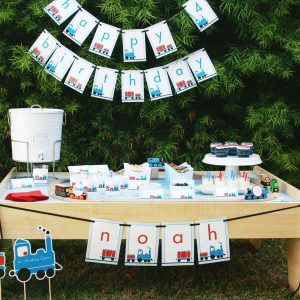 View cart “Train Happy Birthday Pennant Banner” has been added to your cart. A ready-to-hang birthday pennant banner for a train lovers party. Chugga chugga choo choo! Race down the tracks in red and blue.